The Ford Mondeo is an iconic vehicle that's been on our roads since 1993. It’s a mid-size family vehicle that's designed to be durable. As a result, a used Ford Mondeo is a great purchase for a savvy buyer. Its lasting legacy is its supreme affordability and driving experience, as each Mondeo has history and a great chassis. There are no gimmicks and no brand snobbery, just a saloon that Ford has worked hard to perfect. For most used Mondeo buyers, a Zetec or Ghia variant will be the clever purchase, as it includes a diesel engine. The rare, but brilliant, ST220 version is one of the slowest-selling cars in the UK, but its performance and looks are fantastic. If that's what you really want in a car, then that’s the used Mondeo you should go for. There’s a massive choice of engines, trim and spec-levels with the Mondeo. The car also boasts respectable residuals and a whole host of gadgets to keep you happy, so our second-hand Ford Mondeo for sale makes a great purchase. Putting it simply, a used Mondeo drives like a dream. It managed to get a name for itself as one of the most exciting and impressive cars on the open road. The sporty ST220 will keep drivers happy, while a diesel Zetec or Ghia is the car for the eco-conscious motorist. Newer ECOnetic models are designed with the planet in mind. Performance across the range is good too. It’s not a sporty setup, but it is a well-made and reliable saloon for a cost-effective price. We display a range of second-hand Ford Mondeos' for sale, so you're sure to be happy with a purchase. 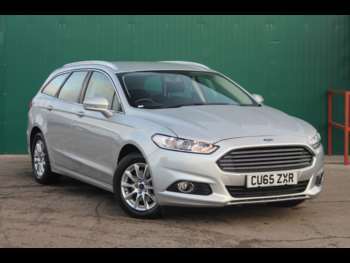 Got a specific Ford Mondeo model in mind?